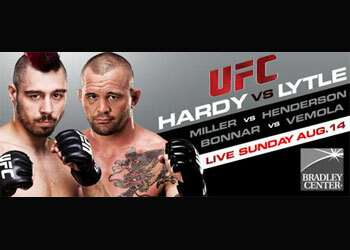 Lytle had rattled off four consecutive victories prior to his UFC 127 unanimous decision loss to Brian Ebersole. “Lights Out” holds an extensive 30–18–5 professional mark. The August 14th event takes place inside the Bradley Center in Milwaukee. Versus will broadcast the show live beginning at 9PM ET/6PM PT.